High blood pressure, high cholesterol, heart attacks, and stroke run up and down both sides of my family tree that I sometimes think it is not a matter of if I will experience heart disease but when. Both sets of my grandparents died of complications from heart disease. I’ve seen with my own eyes how following a heart healthy diet can lead to a better quality of life. Sadly I also know what not following a heart healthy diet can do too. That was my motivation to not only learn how to cook but to try to do it in a heart healthy way. Even though web sites like The Heart Truth weren’t around at the time, Husband and I were doing something right. Often my family doctor had me retake medical tests because I scored so low! She thought someone made a mistake on the results given my family history. 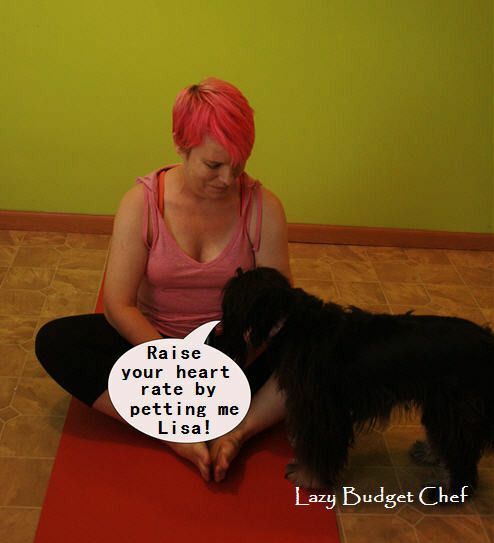 Although floor exercise sessions don’t always go as scheduled when my personal trainer has other ideas. So Husband and I thought we were well informed about heart disease symptoms and prevention up until one of his family members had a heart attack and needed immediate by pass surgery even though he did not have high blood pressure and cholesterol – given my family’s experience this was news to me. Oh, and anther thing I didn’t know until I read The Heart Truth is women may have different heart attack and heart disease symptoms from men. Did you know of the women who died in 2013 (the latest data available,) one in four women in the United States died of heart disease making heart disease is the number one killer of women? And I just learned that eighty percent of women ages 40 to 60 have one or more risk factors for heart disease. Check out the list because while we can control many of those with diet, exercise and not smoking there are some surprisingly we can’t like aging - which was news to me! 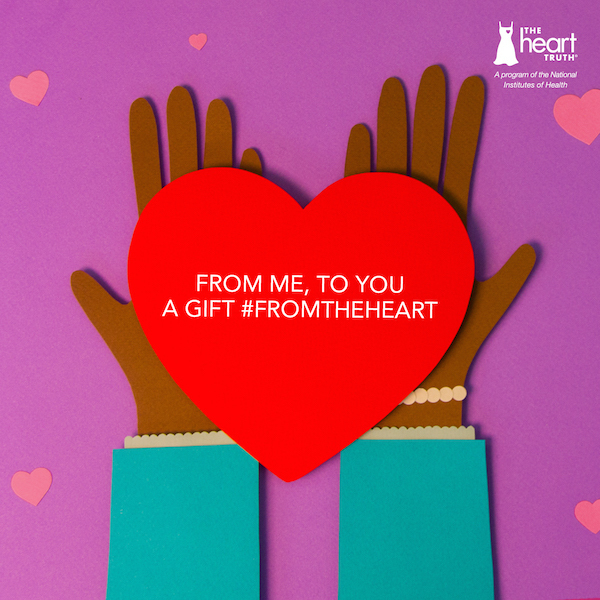 That’s why I am partnering with The Heart Truth program’s goal is to raise awareness about heart disease and its risk factors among women, and to educate and motivate them to take action to prevent the disease and control their own personal risk. 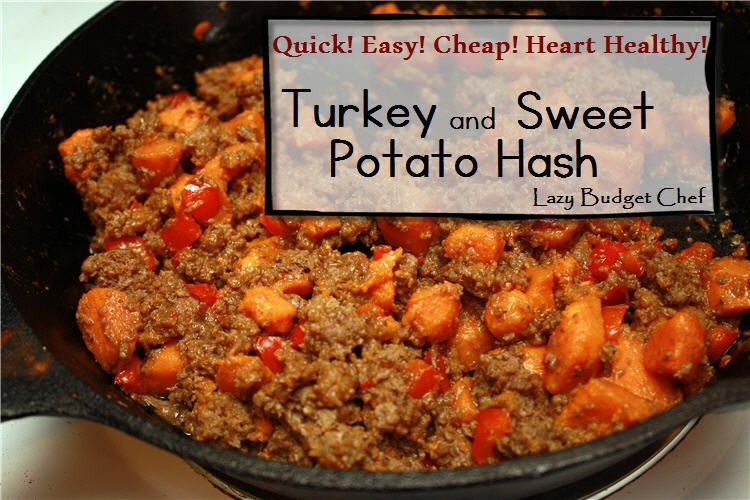 February is Heart Month and since I love you guys and I want you to love your heart, I’m going to give you a little advice #FromtheHeart in the form of a quick, easy, and cheap one pot heart healthy recipe: Husband’s Turkey and Sweet Potato Hash Recipe. 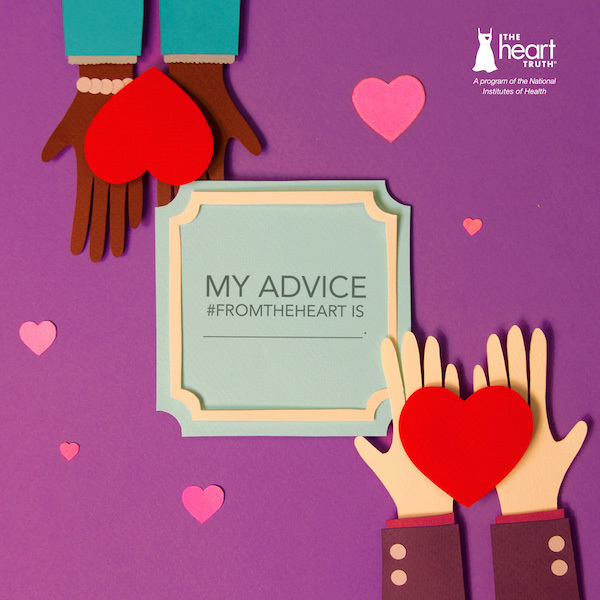 I was racking my brain all day trying to come up with a simple heart smart recipe as my gift #FromTheHeart for you and failing because I was over thinking it. 1. Coat the bottom of a frying pan with the oil. 2. Add the garlic salt, cinnamon, and sweet potatoes to the pan. 3. Peal and cube the sweet potatoes and add them to the pan. Tip: Use a heavy knife to cut the sweet potatoes. They are so dense you can’t cut them well with a paring knife. 4. 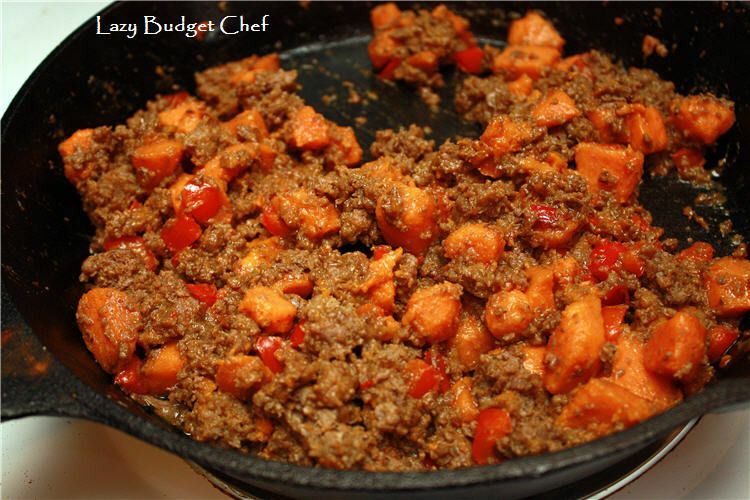 Add the ground turkey to the pan, mix thoroughly, and allow it to sauté over medium heat. 5. While the sweet potato and turkey mixture starts to brown, clean and slice the bell peppers. Because bell peppers have the shortest cooking time and will turn mushy if added in Steps 3 or 4. 6. Mix the green peppers into the pan. 7. Cover and allow the mixture to cook until the sweet potatoes are thoroughly cooked through. 8. Remove from the heat and serve on whole wheat pasta (if desired) and enjoy!